Women World Boxing Championship Delhi 2018 in Delhi kicked off for its Day 1 after a glistening ceremony opened the premium event among much festivities and celebrations. Hosting the marquee tournament after a decade, India sees it national capital host the event which will see more than 277 women boxers compete over a hoard of events for a shot at the yellow metal in the light flyweight, flyweight, bantamweight, featherweight, lightweight, light welterweight, welterweight, middleweight, light heavyweight and heavyweight category. The KD Jadhav Indoor Stadium located inside the Indira Gandhi Stadium which will play host to the Women World Boxing Championship 2018 saw a spectacular opening ceremony take place inside the arena. Boxers flying the flags of the 62 competing countries paraded around the two gleaming rings of the stadium before the boxers swore the boxer’s oath which was following by marvelous cultural performances to throw open the 10-day event to the world. India has sent in a 10 member squad to the event, one that is a good mixture of youth and experience. Day 1 of the tournament saw 26 first class bouts inside the ring captivate audiences. The flyweight (51kg) boxers were the first one on the ring at the 2018 AIBA Women’s World Championships in Delhi on Thursday afternoon with the likes of Canada, Italy, Brazil and USA among the countries progressing athletes into the next round after a day of scintillating boxing action in KD Jadhav Indoor Stadium. Showing immense competition on the opening day of the event were 52 athletes who spared no expense in putting their bid forward to progress to the next round. The first bout on Ring B was a heavyweight clash in the flyweight category (51kg), as Kazakhstan’s Zhaina Shekerbekova met EUBC European Women’s Champion Russia’s Svetlana Soluianova. The Kazakh boxer confirmed her medal potential by defeating a tough Russian opponent in a clash worthy of beginning the proceedings of such a high profile tournament. 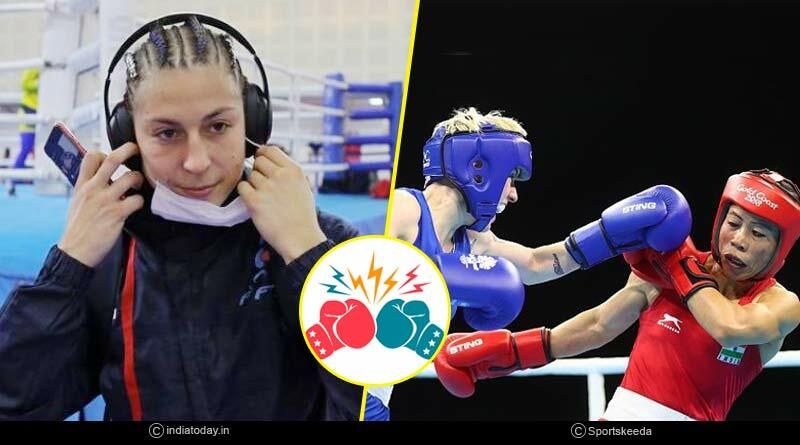 History was made in Delhi on day one of the women’s boxing championship with Scotland, Somalia, DR Congo, and Bangladesh reaching for the first time the AIBA World Championships. The participation of these four newcomers, coming from three different continents (Europe, Asia, and Africa), are a big step forward for the sport and women athletes. Make sure you book your ringside tickets to indulge in all the action of the tournament at the KD Jadhav Indoor Stadium with tickets available on aiba.org and at the different ticketing locations across the stadium. Boxing enthusiasts across the World will be able to watch the event live on aiba.org and all AIBA social media channels. For more details on Women World Boxing Championship 2018 and related updates, like and subscribe to tentaran.com.